1What is a pediatric dentist? As a pediatric dentist, Dr. Spencer had an additional two years of specialized training beyond dental school. Pediatric dentists are dedicated to the oral health of children from infancy through the teenage years. The very young, pre-teens and teenagers all need different approaches in dealing with behavior, guiding their growth and development and helping them avoid future dental problems. With their additional education, pediatric dentists have training that allows them to offer the most up-to-date and thorough treatment for a wide variety of pediatric dental problems. 2How old should my child be for their first visit to the dentist? According to the American Academy of Pediatric Dentistry (AAPD), your child should visit the dentist by his/her 1st birthday or within 6 months after the eruption of the first tooth. Beginning dental care at an early age is important for caring for your child’s teeth and allows for opportunities to prevent future dental issues. Early visits also help establish a positive relationship between the dentist and your child and lead the way for healthy teeth and a pleasing smile. Usually after age 3, we will begin preventive care visits which include examination, cleaning, fluoride treatments and appropriate radiographs (x-rays). 3Why are baby teeth so important? It is very important to maintain the health of primary teeth (baby teeth). Neglected cavities can cause pain and infection, and can also lead to problems that may affect developing permanent teeth. Primary teeth are important for (1) proper chewing and eating, (2) providing space for permanent teeth and guiding them into position and (3) permitting normal development of the jaw bones and muscles. 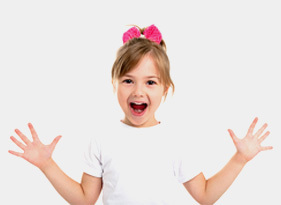 4Why does my child need dental x-rays? Radiographs (x-rays) are a necessary party of your child’s dental diagnostic process. Without them, certain cavities will be missed. They also help survey developing teeth, evaluate results and injury, or plan for orthodontic treatment. If dental problems are found and treated early, dental care is more comfortable for your child and more affordable for you. With modern safeguards, the amount of radiation received in a dental x-ray examination is extremely small, making any risk negligible. In fact, dental radiographs represent a far smaller risk than an undetected and untreated dental problem. Our office employs digital radiography which allows us to decrease the amount of radiation exposure, and our equipment restricts the beam to the area of interest. Lead body aprons and shields are also used to protect your child. 5What are sealants, fillings and crowns? A sealant is a clear or shaded plastic material that is applied to the chewing surfaces (grooves) for the back teeth (premolars and molars), where most cavities in children can form. This sealant acts as a barrier to food, plaque and acid and protects the decay-prone areas of the teeth. As long as there is no cavity in the tooth, sealants will be recommended for all children. It is important to note that cavities between the teeth are not protected by sealants. In a primary tooth, if a cavity is too large to restore with a filling, a crown may be recommended or the tooth may need to come out. If the cavity has involved the nerve of the tooth, then the nerve will be removed (pulpotomy) along with the cavity and a crown will be placed. A crown can either be tooth-colored or stainless steel. For front teeth, white crowns are routinely used for aesthetics. For back teeth, stainless steel crowns are used for their durability and longevity. The purpose of the crown is to help provide structure for the tooth, to help maintain space for permanent teeth to erupt properly and to help protect the remaining tooth. Small procedures in cooperative children can often be done under local anesthesia with or without nitrous oxide (laughing gas). Nitrous oxide is a common form of sedation routinely used in our office. This is given through a small breathing mask which is placed over the child’s nose. The AAPD recognizes this technique as a very safe and effective way to help relax your child during treatment. Slightly more involved procedures in certain children will require the use of an oral medication along with nitrous oxide to help relax your child and facilitate cooperation with the procedure. These procedures are schedule carefully as we require your child to be fasting the morning of the procedure and also be free of any respiratory symptoms in the two weeks preceding the procedure. Often we ask that two adults be present so that one adult is able to sit in the back seat with your child on the drive home. Some children require an extensive amount of dental work. In these situations, it is difficult for a small child to cooperate fully for the treatment to be done properly. At this point, we may recommend treating your child under general anesthesia. 7Can I go back with my child? We do not have any policy that restricts parents from being with their child during their visit. We do feel that children vary as individuals. It has been our experience that most children do better with the parents waiting in the reception area. There are exceptions and certain children will have a better experience if their parents are with them throughout the visit. 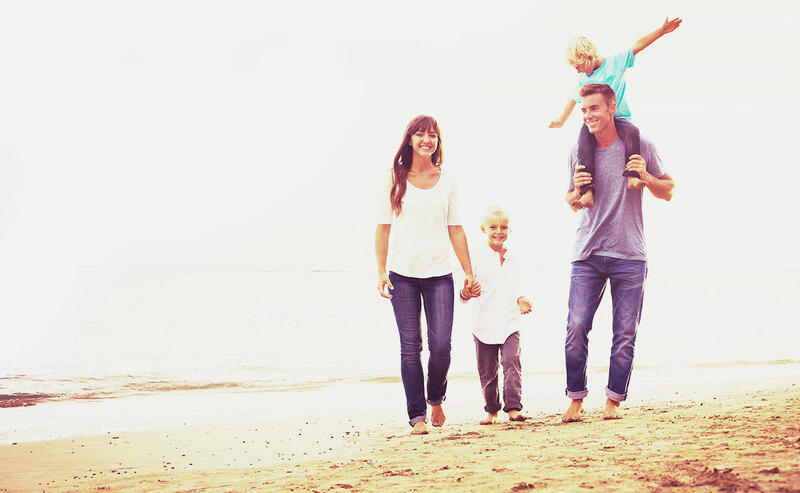 Our preference is to have one parent with the child for their initial visit. If the child requires treatment during another visit, the need for parental presence should be discussed between the dentist and the parent and decided on a case-by-case basis. 8What should be done about a cut or bitten tongue, lip, or cheek? Apply ice to bruised areas. If there is bleeding, apply firm pressure with a clean gauze or cloth. If bleeding does not stop after 15 minutes or cannot be controlled by simple pressure, take the child to the emergency room. 9What can I do about my child’s toothache? Clean the area around the sore tooth thoroughly. Rinse the mouth with warm salt water or use dental floss to dislodge impacted food or debris. DO NOT place aspirin on the gum or the aching tooth. If the face is swollen or the pain still persists, contact our office as soon as possible. 10My child accidentally knocked out her permanent tooth, what should I do? Find the tooth. Handle the tooth by the crown, not the root portion. You may rinse the tooth, but DO NOT wipe or handle the tooth unnecessarily. Inspect the tooth for fractures. If there are no fractures, try to reinsert it into the socket. Have the patient hold the tooth in place by biting on gauze. If you cannot reinsert the tooth, transport the tooth in a cup containing milk. If there is no milk, place the tooth in a cup containing the patient’s own saliva. DO NOT place the tooth in water. Call our office immediately or go to your nearest emergency room. Time is a critical factor in saving the tooth. 11Our son has fractured his tooth. What do you suggest?